One Book for Kids is a companion program to One Book, One San Diego that is just for kids! In February, the community is asked to nominate titles the entire community should read together - for adults, teens and kids. The Children's and Young Adult Selection Committee reviews these nominations and ultimately selects a title they believe fits our selection criteria best. In the fall, KPBS and our community partners host events inspired by the book for for kids and families. 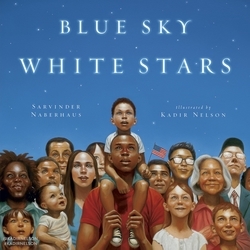 Blue Sky, White Stars is a picture book written by Sarvinder Naberhaus and illustrated by New York Times bestselling and Caldecott-honor winning artist Kadir Nelson. Deceptively simple verses pair with richly evocative images of American history, landscape, and people. 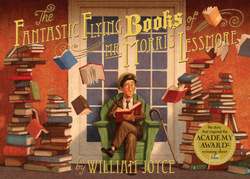 The book that inspired the Academy Award–winning animated short film, from New York Times bestselling author and beloved visionary, William Joyce, is also a picture book! 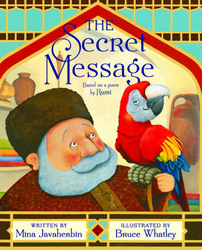 It is an allegory about the curative power of story and how books return the favor to those who care for them. 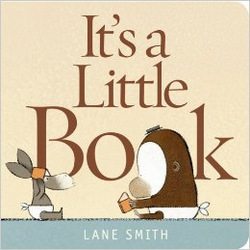 For the youngest of readers who still prefer to chew on a book rather than read it, “It's a Little Book” asks what a book is for--Is it for chewing? Is it for wearing?--and answers the question in a warm and charming way. As funny and captivating as the bestselling “It's a Book, It's a Little Book” promises to delight a new generation of readers. Cora loves being in the kitchen, but she always gets stuck doing the kid jobs like licking the spoon. One day, Cora finally gets the chance to be Mama's assistant chef. And of all the delicious Filipino dishes that dance through Cora's head, they decide to make pancit, her favorite. With Mama's help, Cora does the grown-up jobs like shredding the chicken and soaking the noodles. When dinner is finally served, her siblings find out that Cora did all their grown-up tasks, and Cora waits to see what everyone thinks of her cooking. Dorina Lazo Gilmore's text delightfully captures the warmth between mother and daughter as they share a piece of their Filipino heritage. With bright and charming illustrations by Kristi Valiant, Cora's family comes alive as Cora herself becomes the family's newest little chef. Jenna, a contemporary Muscogee Creel girl in Oklahoma, loves the tradition of jingle dancing that has been shared by generations of women in her family, and she hopes to dance at the next powwow. But where will she find enough jingles for her dress? 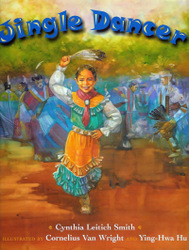 The warm, evocative watercolors of Cornelius Van Wright and Ying-Hwa Hu complement author Cynthia Leitich Smith's lyrical text as she tells the affirming story of how a contemporary Native American girl turns to her family and community to help her dance find a voice. 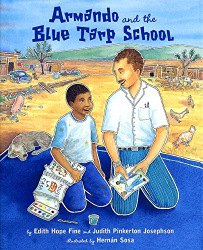 Told with honesty and hope, “Armando and the Blue Tarp School” is a testament to the pursuit of dreams and the power of one person to make a difference in the lives of others. Alone, imprisoned in a golden cage, and far from the jungles of home, a parrot longs for freedom. Will he ever escape? Thanks to a secret mesage passed along by his friends in India, the parrot outwits his wealthy owner and soars to freedom. Last year we highlighted "Monstress" by Lysley Tenorio. 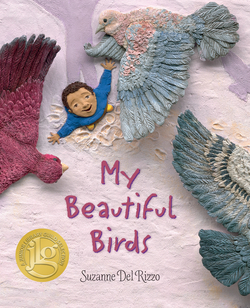 Find out more about this book and other previous One Book selections, in our archives..
Escondido Public Library, Chula Vista Public Library, Asociación de Bibliotecarios de Baja California, Girl Scouts San Diego and Oceanside Public Library.